Any time a new book enters the world is a great day. But it’s even more thrilling when the book comes from one of our own. 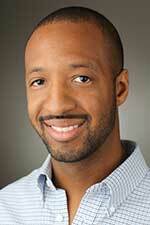 The Brown Bookshelf co-founder Varian Johnson celebrated the birthday of his new stand-out middle-grade novel, The Great Greene Heist (Arthur Levine Books), on Tuesday. It’s already winning raves. Today, Varian is featured in Kirkus. You can read the article here. Elizabeth Bird wrote this review in SLJ. And check out this inspiring movement: Bookstores are taking The Great Greene Heist Challenge where they work to make Varian’s book a New York Times bestseller. A big thank you to author Kate Messner for championing Varian’s book and issuing the first challenge to readers. The contest runs through June 30. We’re proud of Varian and so excited about his success. Learn more about him and his books at his site. And get your copy of The Great Greene Heist, named a Publishers Weekly Best Summer Book of 2014, today. 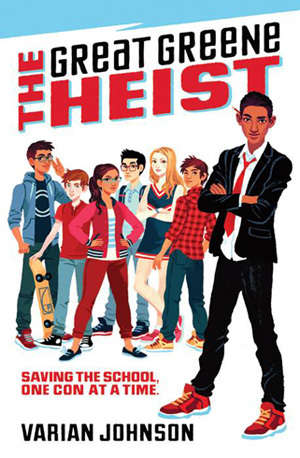 Here are links to two wonderful indies to make it easy: Buy The Great Greene Heist at Book People. Buy The Great Greene Heist at The Book Spot. Thank you for supporting our brother and showing that diversity matters. The bookstore called, “Your order is here.” I’m out the door to get it! I saw this book today at BEA but they only had display copies for people to look at, so I didn’t want to grab one and run. But man, I sure thought about it!